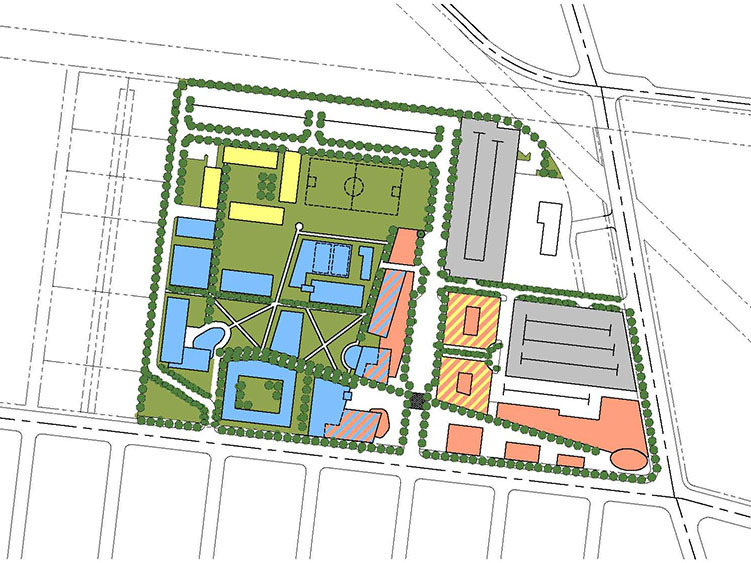 The proposed South Gate Campus Master Plan was a unique experiment combining educational, commercial and residential uses into a mixed-use development. The mixture of uses creates economies through shared parking structures, which serve the non-simultaneous peak demands for the different users. 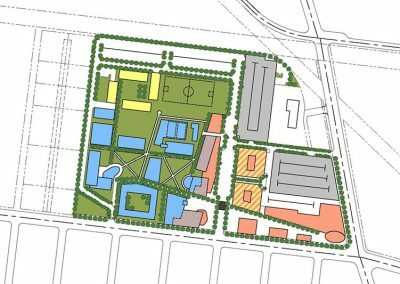 The site was planned in such a way that the two major uses, as a college and a retail center, would take advantage of the urban synergy resulting from the mix of uses while allowing each to function without interfering with the operations of the other. Gruen Associates’ work, along with the Environmental Consultant, determined that the initial selected site was not appropriate due to environmental concerns of the surrounding areas. The campus site was, ultimately, relocated to Firestone, where LACCD is building the new Firestone Education Center.